A SERIES of major events in Downend and Staple Hill will mark the centenary of the end of the First World War. Volunteers have spent months planning, fundraising and creating tributes to the millions who died in the conflict, which ended on November 11, 1918. 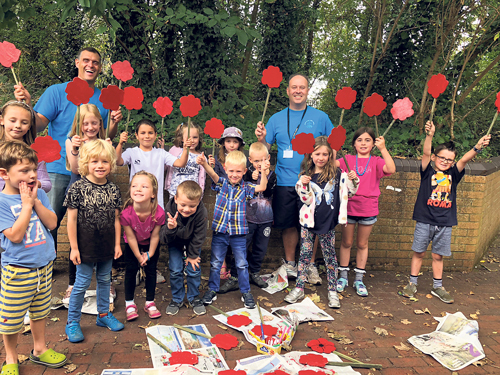 The first signs of this year’s centenary commemorations have already appeared, after Downend and Bromley Heath in Bloom volunteers planted a 600 painted poppies around Downend. They included 173 bearing the names of the soldiers from Downend who gave their lives in the conflict, which have been planted in churchyard of Christ Church. The poppies have been painted by local groups, including schools and clubs. Some 164 names are listed on a plaque above the door at Christ Church and the other nine names, from the war memorial at Page Park, are believed to be of men from Soundwell, which was part of the Downend parish at the time. November 11 itself will see the return of Staple Hill’s Remembrance Day parade, which had to be cancelled last year after closure of the local branch of the Royal British Legion. It was revived thanks to a crowdfunding campaign organised by the Staple Hill Regeneration Partnership together with the Women's Section of the Royal British Legion and the Staple Hill Salvation Army, which raised the £600 needed in days. This year’s parade will start from the You Foundation building off the High Street at 10.30am and progress along Broad Street to Page Park in time for a service and two minute silence at 11am. Later on Remembrance Sunday, Downend will host a beacon-lighting ceremony as part of the nationwide Battle’s Over commemoration of the centenary of the Armistice. It is being organised as a community project by Downend Men In Sheds, Downend and Bromley Heath Parish Council and other volunteer organisations including Downend Knit and Natter and the 28th Kingswood, 1st Downend Scouts. The event starts with a short service at the Scout war memorial on Badminton Road at 5.30pm. At 5.45pm a procession will move off to King George V Playing Fields, where, at 6pm there will be a ceremonial laying of poppies. 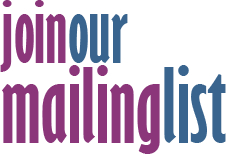 There will then be a reading by a Downend School pupil, followed by the Last Post and, at 7pm a beacon – one of 1,000 around the UK – will be lit, followed by a peal of bells from churches in the area. Parish council chairman Ben Burton said: “We are proud to be playing a part in this historic international event to commemorate the centenary of the end of the Great War, and to recognise the contribution and sacrifice made by the men and women from our own community. There will also be a Festival of Remembrance at the Salvation Army in Broad Street, Staple Hill, from 5pm. A week afterwards there will be a further event at the Church of Jesus Christ of Latter Day Saints in Downend Road. Historian Clive Burlton, who has written three Bristol-related First World War books, will give a talk about the battles at the end of the war in 1918. Admission is free but donations to the Poppy Appeal are invited at the talk, which starts at 7.30pm on November 18. Poppies will be on sale throughout the area, with RBL volunteers making collections at supermarkets including Tesco in Staple Hill and Sainsburys in Emersons Green.